Dr. Mintle has made a significant investment in advanced instrumentation and technology. 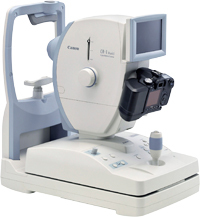 These newer instruments not only give you a more thorough eye examination, but make an easier, more pleasant experience. You’ll be impressed! Our technology puts us beyond the “which is better? 1 or 2?”. You no longer have to worry about making the wrong choice. Our refraction system can make the process simpler. The system starts you with an estimated prescription which means fewer choices, fewer chances for error and increased accuracy. 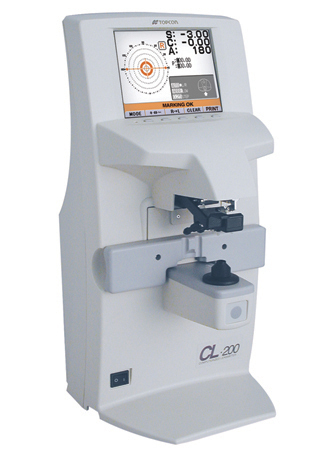 The Auto-Lensometer is able to read the prescription from your current glasses, sunglasses and computer glasses. 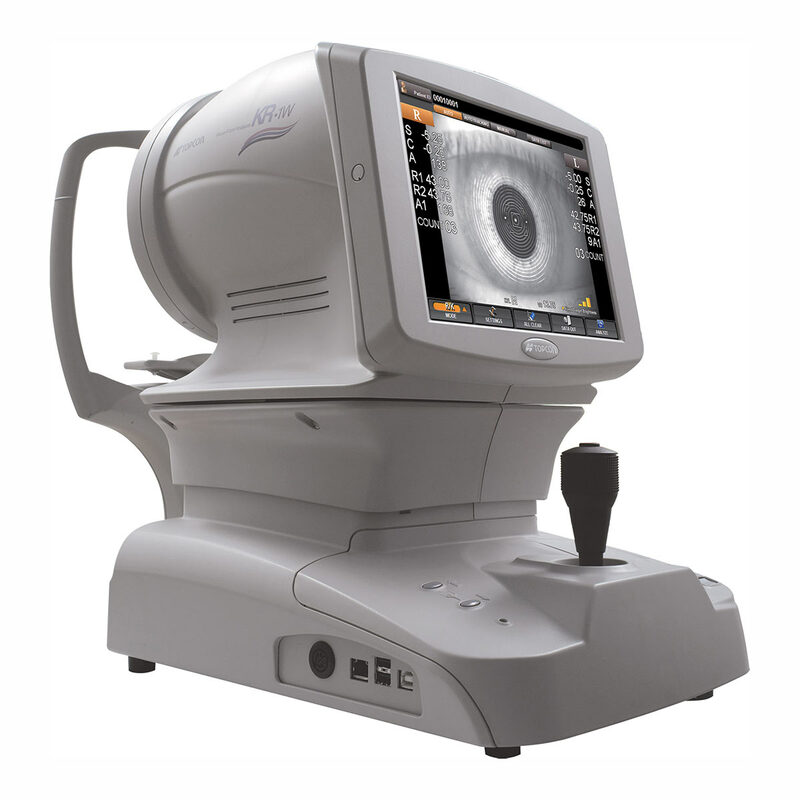 The Auto-Refractor measures your prescription, corneal curvature and generates a topographical map of your cornea in a matter of seconds. 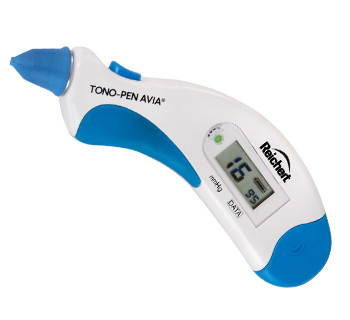 This instrument is so accurate that it’s a great way to double check young kids and non-verbal adults. 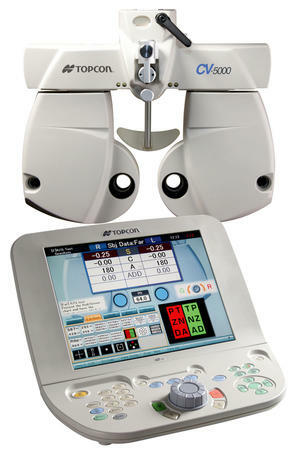 The topography module is used in pre-op exams for LASIX, PRK and difficult to fit contact lens patients. It also allows us to diagnose and follow degenerative diseases like keratoconus. All of this information is loaded into the remote controlled Phoropter. This instrument has several new tests that are not possible with the older manual devices. To double check, this instrument let’s us easily compare your new prescription to the old one. Your final prescription is then downloaded into your electronic health record. Which is better? 1 or 2? Sometimes its both! The choices might look the same, but the doctor isn't trying to trick you. He’s just trying to get the prescription as accurate as possible. For many patients, digital retinal photos can take the place of routine dilation. This technology gives the doctor a more detailed view of the back of the eye and the ability to compare one year to the next which can be critical in monitoring for glaucoma, diabetic retinopathy and macular degeneration. It’s important to measure the pressure inside your eye to screen for glaucoma, but the puff-of-air test is obnoxious! Thats why we use a Tonopen. It’s fast, easy and accurate. No more puff anticipation.